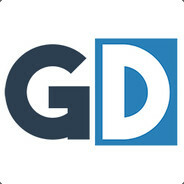 We're GameDirect, an upcoming gaming community focusing on setting the standard for gamers providing excellent servers and hosting an inclusive community. We don't care about your skin colour, race, beliefs or ethnicity, you're welcome here. After the downtime experienced due to unforseen problems with our host, we now have all GameDirect services back online! The DarkRP Server is currently passworded. This is because our host has run into some issues with their shared storage, meaning our website and databases are currently down. The databases linked to many of our addons are hosted on the machine which is currently down. It is unclear as to how long this downtime should last but it should be fixed very soon.